The first set of the show kicks off with “Birds of a Feather” and while this is a solid starter to a 2003 Phish show, the “Destiny Unbound” that followed is the song that fans skip to, for this was the first version of the song since 1991, and one that fans had been clamoring for since the mid-90s. At first, few in the crowd knew what it was, but as the lyrics started, you can hear the crowd erupt, and even more so when the refrain “We gotta get on the road, Destiny Unbound” is sung. Shock and awe swept through the crowd and continued into “Horn,” for the biggest bust out of them all was finally here. A 20+ minute “Bathtub Gin” is full of peaks and jam sections, never letting up and only resting when followed by “Sleep.” An extended “Back on the Train” and “Walls of the Cave” sandwich “Bouncing Around the Room” to wrap up the firepowered first set, and set two would prove to be equally incredible. One of the best versions of “Tweezer” this century kicked off a five-song second set, stretching more than 27 minutes and finding ebbs and flows throughout, never noodling or fading out, just pure improvisation start to finish. The segue into a then-rare cover of Bob Marley’s “Soul Shakedown Party” lit up the room once again, as did a dark 19 minute “David Bowie.” The only time to catch a breath this set was “Round Room,” but being the title track off the band’s recently released album, fans were rapt with attention to the new tune. Closing the set was a slow building “Harry Hood” that capped the show with a bang. 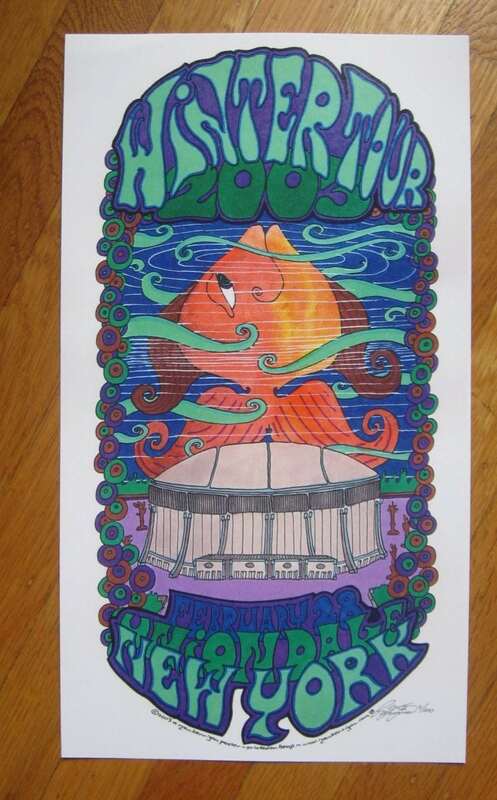 A three song encore starting with “Contact,” “Mexican Cousin” gave the fans a couple of sing-alongs before the energetic close of “Tweezer Reprise.” You would be hard pressed to find a Phish show in 2003 or 2004 that had as much firepower as February 28, 2003 did.